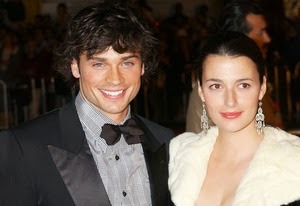 Tom Welling's wife has filed for divorce after 10 years of marriage, TMZ.com reports. Jamie White Welling filed the documents on Wednesday, citing "Irreconcilable differences." She's also seeking spousal support from the Smallville star. The filing reveals that the couple actually split in December 2012.